Welcome to week four of my dear, dear friend Patty Wysong's alphabetical weekly meme (rhymes with cream ;)). From A 2 Z 4 U and me will work through the alphabet - one letter each Tuesday. No rules, other than your post has to relate to the letter of the week. Link up at Ordinary Lives and check out everyone else's post. Click on the graphic above for more details, and stop by Patty's blog to link up. I had quite a tough time settling on a topic for this fourth letter of the alphabet. But finally, a friend of mine helped me settle on one that had been popping in my head off and on. 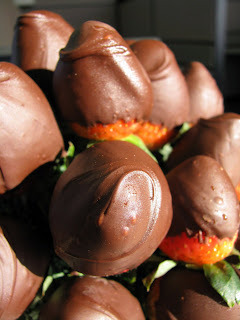 At MY blog, D is for DESSERT. Like many of you, I really like desserts. And though my metabolism is such that they rarely cause problems with my weight (don't hate me please), they're not exactly healthy, nor are they beneficial to my complexion (in other words, I look like a pimply-faced teenager if I indulge too much). So I TRY to eat in moderation. But looking will NOT bring out the zits, so here's a picture montage of some of my favorites. My love of macaroons started when I was little. 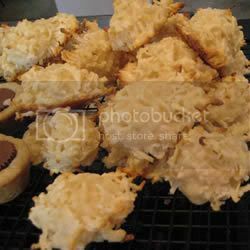 As a Jew during Passover, there were very few dessert options without leaven. Macaroons can be one. And I've grown do ADORE them.Yum. Yup - I was a Girl Scout as a kid (my daughter is following in my footsteps!). I was a Brownie for a couple of years, and went on and did one year of Junior girl scouts. And there is no doubt that Thin Mints, were, and are, my fave of the cookie options. Ohhh, cheesecake. Decadence on a plate. Rich and creamy. Need I say more? Deeeeeelicious. And if you REALLY stretch it, you can squeeze it onto that food pyramid/plate thing. And just in case you REALLY need a reason that I like these things - here's one. Strawberries are my all-time favorite, fruit, and chocolate (milk chocolate, to be exact) is high on my list of favorite tastes. Another one back to my Girl Scout days. Of course, I tried my very first s'more over a campfire with some Girl Scouts. And they taste just as good now. I've done the microwave thing, and those aren't bad, but NOTHING compares to a real one, over a fire. So, there's some decadence for you. Desserts (thanks Christy!) are certainly a delightful topic of discussion. Don't you think? For more D posts, stop by Ordinary Lives for this awesome A2Z meme! So, what is YOUR favorite dessert? 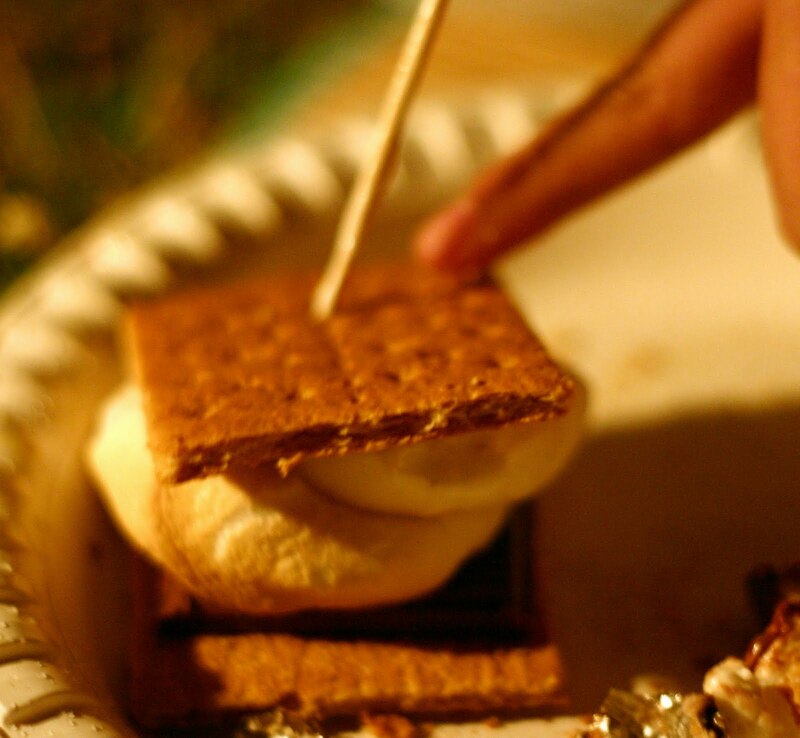 I was also a Girl Scout as a child and S'mores were introduced. Yummy is right! I can't remember the last time I had one. :( Anyway, I eventually became a Girl Scout leader and passed on the tradition. Oh thank heavens those are all poison for me. :) Gluten! otherwise I would walk into the kitchen and start baking. But my favorite dessert is cake. Gluten free of course. Well, good thing I just ate breakfast or I'd be in deep doo-doo and start eating right here. LoL. Delightful topic of discussion, indeed! One of my favorite things--dessert! Love you! Delicious topic, indeed! Hmm, dilly bars? Donuts? Strawberry pretzel dessert? 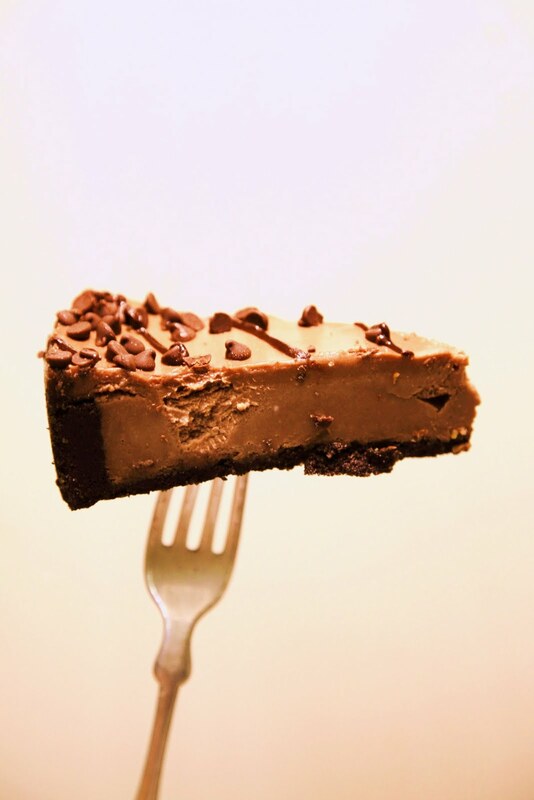 Peanut butter pie? All of the above! Mercy, my mouth is watering. I'll take everything you're serving! We actually bought a s'more maker-thingy a few years ago. At least once a week, my husband pulls it out and makes s'mores for me. Also, Sam's Club makes a turtle cheesecake to die for! Yep, I love a good dessert, but I am careful about consumption these days. Still have quite a few pounds to go to get to my pre-chemo weight! A girl can dream, right?! Mmmmm . . . we share some favorites here. Macaroons, the strawberries, and cheesecake--YUMM! JO, now I'm hungry! 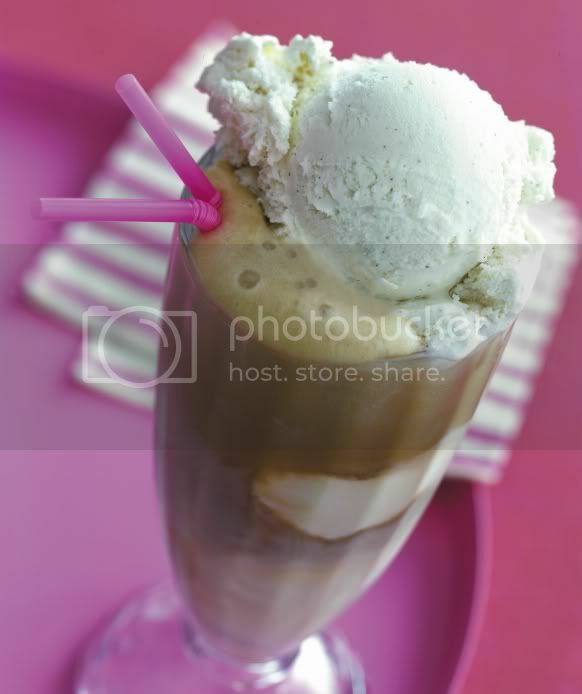 I love all these, too...except the root beer float, but I'd have one if it meant we were having fun together. Mmmm. What a great D post! I don't often eat dessert, but when I do it's almost always something chocolate! Lemon is my second favorite dessert flavor. that was just to tease me, wasn't it? lol. Mine is Saskatoon Berry Pie or Cheese cake! Good grief! I think I just put on 5 pounds reading that! LOL! Chocolate of any sort rates high with me, but pie is a close second. :) Yum! Yummy! My favorites would be my mother's homemade opera fudge, guaranteed to satisfy any chocolate craving for up to a month, and dessert cannoli. Darn it all, I hate counting calories! My sugar level just went up. I'll just walk around the glucose monitor for a few hours so it doesn't self destruct. Love, love desserts. D is for deee licious!